It's gooey, crispy, sweet, salty, chocolatey, and much less calories than your typical S'mores. I know we don't normally post desserts on here, but sometimes you just need a little fix. The great thing about this dessert is that it is 1/3 the size of a normal smores. A normal S'more is too big anyway when you just want a taste. This Brownie Brittle S'mores recipe is gonna get you that fix but it will be a little messy. Lets be honest though, it's well worth it! Try and use a healthier natural peanut butter and chocolate and this will be a treat that doesn't make you feel guilty afterward. So have fun with this dessert and I wont tell if you don't share any with your kids! Ingredients: Chocolate Chip Sheila G's Brownie Brittle, Peanut Butter (or non-nut substitute spread), tiny piece of your favorite chocolate, 1/2 regular size marshmallow or 3 mini marshmallows. Directions: Pick out two pieces of Brownie Brittle about the same size. Spread a very small amount of peanut butter on one piece and place chocolate on the other. Remember, a little peanut butter and chocolate goes a long way! 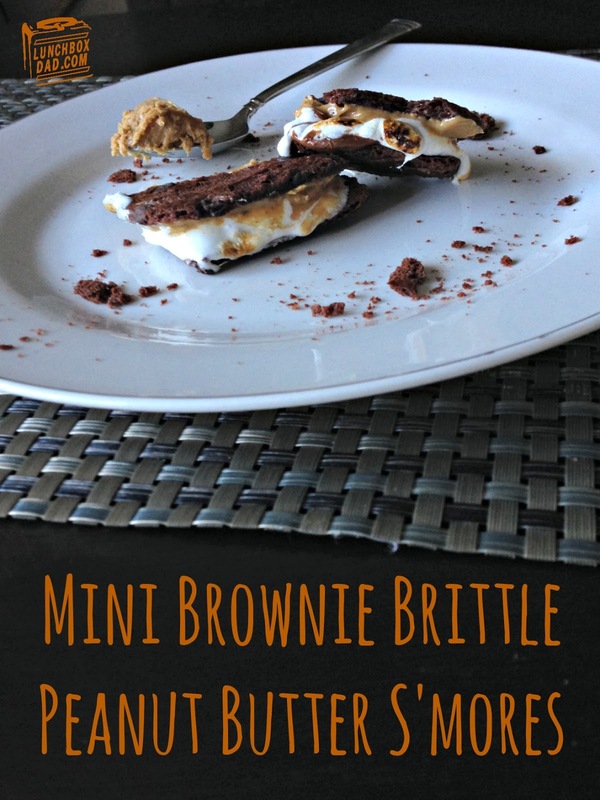 Stick marshmallow to the peanut butter and press both sides of Brownie Brittle together. Heat up in microwave or toast over flame. Enjoy your guilt-free dessert! For a different taste, substitute your favorite flavor of Brownie Brittle. 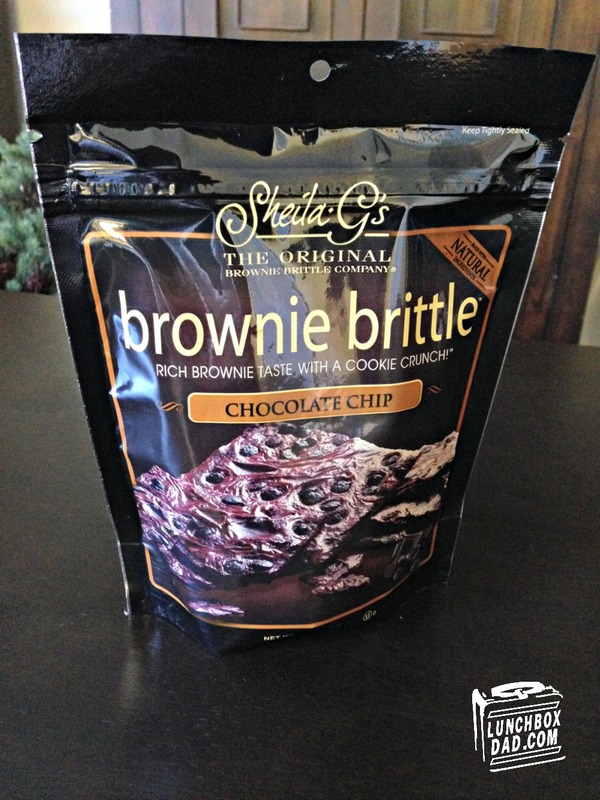 Disclosure: Sheila G's Brownie Brittle sent me this product to review. I have received no other compensation for this post and the opinions I’m expressing here are solely my own.